Oakland - The Seated Diesels discuss "My Ántonia"
Diesel, A Bookstore in Oakland welcomes The Seated Diesels back to the store to discuss My Ántonia By Willa Cather on Tuesday, July 22nd at 7pm.Widely recognized as Willa Cather’s greatest novel, My Ántonia is a soulful and rich portrait of a pioneer woman’s simple yet heroic life. The spirited daughter of Bohemian immigrants, Ántonia must adapt to a hard existence on the desolate prairies of the Midwest. Enduring childhood poverty, teenage seduction, and family tragedy, she eventually becomes a wife and mother on a Nebraska farm. A fictional record of how women helped forge the communities that formed a nation, My Ántonia is also a hauntingly eloquent celebration of the strength, courage, and spirit of America’s early pioneers. This event is free and all are welcome and encouraged to attend! The CENTRAL SF CLASSIC LIT BOOK CLUB will discuss Song of the Lark by Willa Cather. The Salon Book Club meets at 7:30 p.m. to discuss Death Comes for the Archbishop by Willa Cather. The CENTRAL SF CLASSIC LIT BOOK CLUB will discuss Death Comes for the Archbishop by Willa Cather. Wilella "Willa" Cather was born on her maternal grandmother's farm in Back Creek Valley, near Winchester, Virginia. In 1883, when she was nine years old, the family moved to the Nebraska frontier, eventually settling in Red Cloud, the prairie town that became synonymous with her. Willa felt a particular kinship with the older immigrant women she met, and spent hours visiting them and listening to their stories. 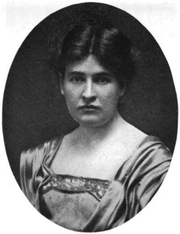 She graduated in 1895 from the University of Nebraska at Lincoln, where she decided to become a writer. A year later, she moved to Pittsburgh to work as a magazine editor and theater critic. From 1901 to 1906, she took a break from journalism to teach high school English. During this time, she published April Twilights (1903), a book of poems, and The Troll Garden (1905), a collection of short stories. At age 33, she moved to New York City, her primary home for the rest of her life, although she also traveled widely. She won national and international acclaim for her novels of life on the Great Plains, including O Pioneers! (1913), The Song of the Lark (1915), and My Ántonia (1918). In 1923 she received the Pulitzer Prize for One of Ours (1922). Willa Cather has a Legacy Library. Legacy libraries are the personal libraries of famous readers, entered by LibraryThing members from the Legacy Libraries group. » Willa Cather's legacy profile. Willa Cather is currently considered a "single author." If one or more works are by a distinct, homonymous authors, go ahead and split the author. Willa Cather is composed of 23 names. You can examine and separate out names.